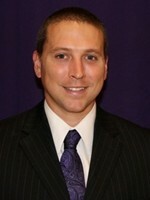 After four seasons with the Truman State University Bulldogs, leading them to an 83-40 record, men’s basketball head coach Chris Foster announced his resignation on March 29. Foster ranks No. 1 in all-time winning percentage at Truman and helped the program capture two of its six NCAA Division II Men’s Basketball Tournament appearances. All four of Foster’s Truman teams earned 20-win seasons, and this year his team won a program-high 13 conference wins and secured its highest ever seed in the GLVC tournament with a second seed. 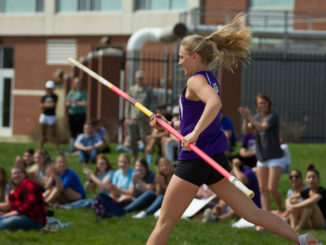 Next year, Foster will carry his coaching career into the familiar territory of the GLVC as he moves into his accepted head coach position at McKendree University. When redshirt junior guard Jack Green arrived at Truman nearly four years ago, he said that then-head coach Matt Woodley, the one who recruited him, was leaving. Woodley’s assistant coach at the time, Foster, was appointed to the job, and three and a half years later, Green said the team finds itself in a similar situation with the mindset of moving forward and returning even better next year under new supervision. Truman Athletics Director Jerry Wollmering said the athletic department opened the position the day before Foster publicly announced his resignation. Wollmering said word got out, and news of the open position spread quickly. Wollmering said his office was bombarded with inquiries by more than 100 interested coaches, although, not all officially applied. Wollmering said the athletic department is currently narrowing the field, but the application process will not officially close until someone is hired. Because many of the applicants have coaching positions elsewhere, Wollmering said Truman Athletics is keeping candidate information private. Wollmering said they hope to select and announce a new head coach before the end of the spring semester. The Bulldogs graduated only two seniors and one member of the starting lineup from the 2017-18 roster, and eight upperclassmen will lead the team next season.